Many executive jet charter brokers are praising the new ARGUS Registered and Certified Broker Programme for setting a new standard in the air charter industry. 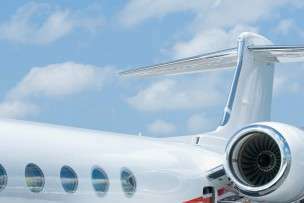 The lack of regulation surrounding the executive jet charter brokers industry has long been an area of concern for many air charter brokers and other stakeholders. So when news of the ARGUS Registered and Certified Broker Programme surfaced, Stratos Jet Charters was quick to show its support. As a company that was already proactive in its approach to aircraft safety standards, Stratos was among the first private jet companies to undergo ARGUS’s rigorous evaluation process to earn full certification. Joel Thomas, President and CEO of Florida-based Stratos, told European Business Air News: “The ARGUS certification process demonstrates a company’s credibility, financial strength and organizational processes, its principles, culture and how it serves its client base. What Does ARGUS Certification Mean for Consumers? With a new set of safety standards firmly in place, business professionals seeking executive jet charter brokers can shop with confidence. In fact, anyone using a charter service—for business or personal travel—will be able to easily obtain information on a broker’s operating standards, and determine whether they hold the ARGUS certification. The vetting process also included in-depth interviews and analysis of senior management, agent competency, experience and knowledge base. And once they have certification, there are ongoing requirements. Why Is the ARGUS Programme Needed? The demand for charter air travel has grown significantly over the past several decades. This is a result of increased individual wealth and a growing demand for corporate air travel to keep up with today’s global economy. 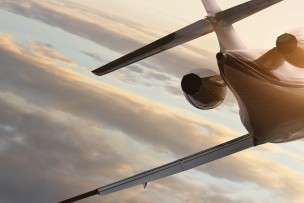 With more and more executive jet charter brokers operating to meet that demand, it increasingly made sense to implement a set of regulatory standards that would govern the industry that operates in an on-demand, and often unpredictable, environment. Soon the demand started overwhelming the supply, and as a result, some companies started to cut corners in their operations to keep up. And while business was good, it was starting to come at the cost of substandard service, which is unacceptable for an industry where safety is paramount. With ARGUS, jet charter companies have an opportunity to show their commitment to best practices. For more information on aviation safety, read our post: Five Things You Should Know About Air Charter Safety. Are you looking for executive jet charter brokers that provide industry-leading safety and customer service? Stratos Jets will take care of every detail of your itinerary to ensure your trip goes seamlessly. Our booking agents are available 24/7—(888) 593-9066 (toll free) or request a quote online.